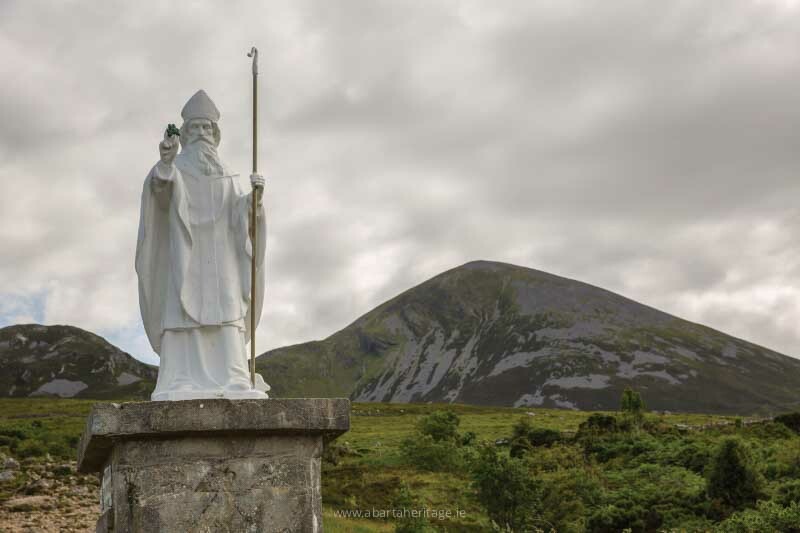 Here are some great facts about St Patrick, Ireland’s famous patron saint to help you to discover the true meaning of St. Patrick’s Day and to become better acquainted with the real Patrick. You can hear the story of Patrick with our acclaimed audio book. Our new audio book attempts to answer the question of who is St Patrick? It disentangles the real man from behind the myth, and to better understand Patrick’s experiences and motivations as he attempted to establish Christianity at the edge of the known world. The audio book focuses on Patrick’s writings, that provide remarkable insights into the man himself, and it also uses the latest archaeological evidence to try to reconstruct the Ireland he experienced. 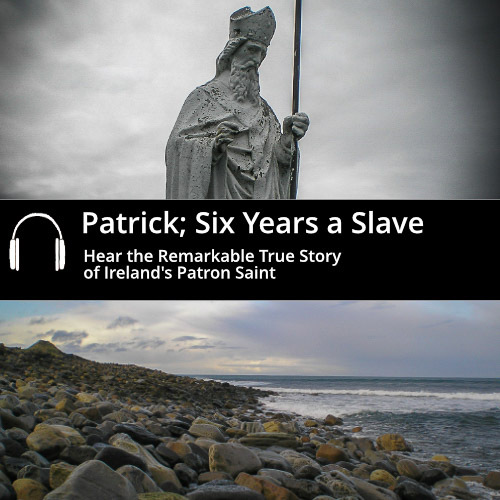 Although this audio book may help to shatter some of the well-established myths of Saint Patrick such as the banishing of snakes and the shamrock, you can experience a far greater story – the story of a young man taken into captivity and brought far from home, who made a daring escape from slavery only to return again, to teach, convert and strive against impossible odds in an extremely dangerous environment to bring Christianity to the Irish. Why is St Patrick Important? There are many reasons as to why Patrick has become such an important figure and so associated with Ireland. Today Patrick is bound with Irish identity, and St. Patrick’s Day is a worldwide celebration. However the real story of Patrick gives an even greater dimension to his importance. 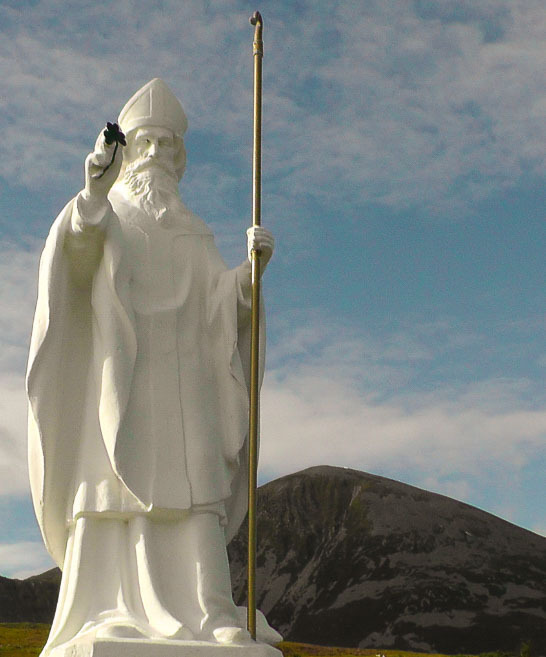 St Patrick is one of the most important figures in Irish history. He is the earliest person to write of, and to, Irish people; the earliest to write about Ireland, from within Ireland. He provides a fascinating glimpse into the remarkable life and mindset of a Christian missionary seeking to convert peoples beyond the frontiers of the Roman Empire. In doing so, he inadvertently provides us with fragments of information concerning the makeup of fifth century Ireland at a time when early Christianity was in its infancy. You’ll hear all about Patrick and his influence in our groundbreaking audio book. When was St Patrick Born? When did Patrick live? Much has been written on the subject of absolute dates, with even his earliest hagiographers disagreeing about when exactly it may have been. About the only thing that can be said with any probability is that it was sometime in the fifth century AD. Considering that Patrick references Roman administrative details, currency, units of measure and Latin educational systems, it seems possible that he may have grown up earlier in the fifth century, if not the late fourth, when such things are more likely to have been in regular operation within Britain. 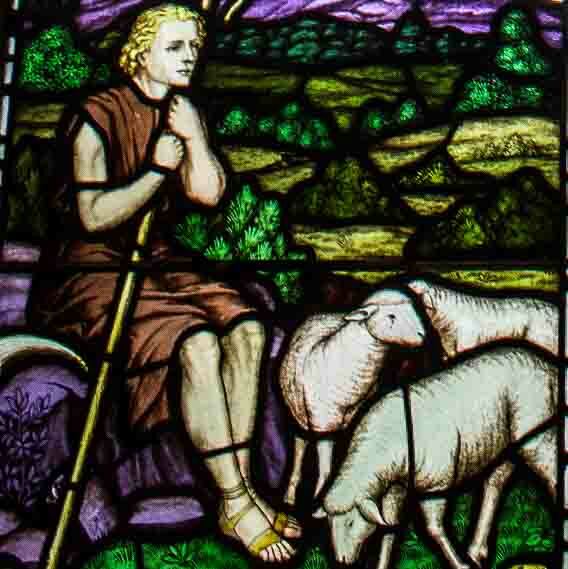 Where Was St Patrick Born? Patrick’s origins is the subject of much discussion, with some believing he originated from Wales and others stating that he came from as far away as Brittany. In our exclusive audio book we outline his true likely origins, based on his own writings. What did St Patrick do? 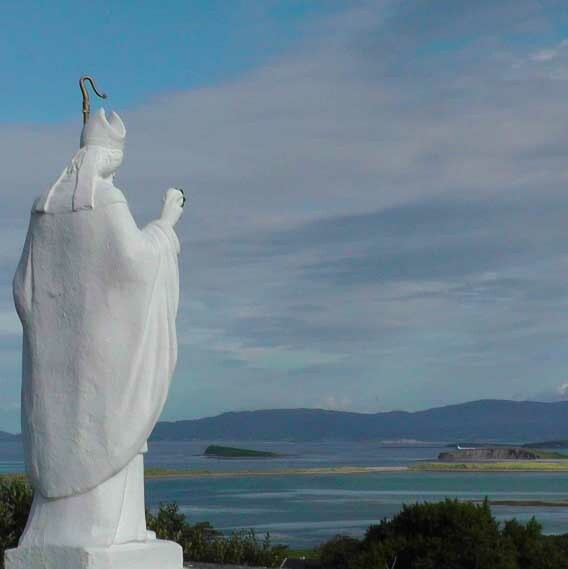 Perhaps the most famous legend about St Patrick is that he banished all the snakes from Ireland, he was also renowned as the man who brought Christianity to the pagan ‘Celtic’ Irish. However the true story of Patrick that we tell in our audio book is far more complex and dramatic than the legends that grew up long after his death. 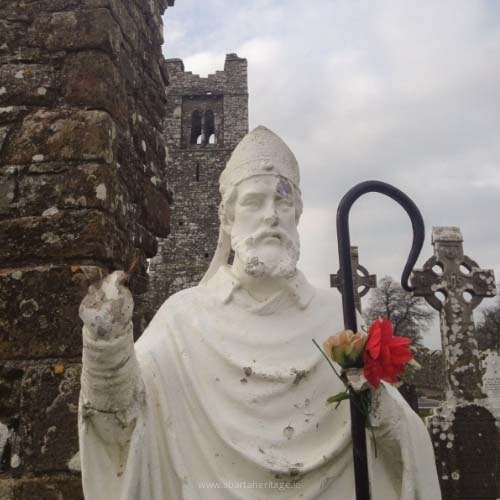 How did St Patrick Become a Saint? We see the first references to a ‘Saint Patrick’ in the Seventh Century, with an early hymn Audite Omnes Amantes in his praise. 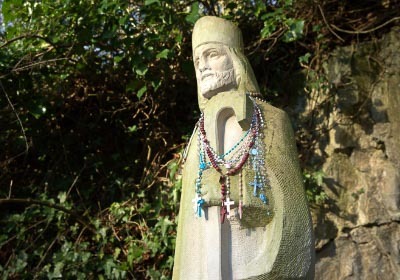 By this time, ‘Saint’ Patrick was being utilised by the church authorities in Armagh in a bid for primacy over other Irish churches and directly competing with the popularity of other national saints such as Brigit and Columba. In our audio book we dedicate an entire section to the rise of the cult of Saint Patrick, and how his story became so embellished and entwined with myth and legend. How did St Patrick Die? 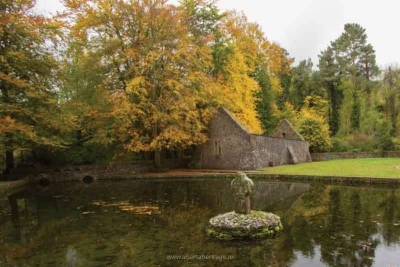 Patrick’s death was recorded to have taken place in the year AD 493 at the grand old age of 120 in the Annals of the Four Masters (a chronicle of Irish history written in the 1630s that was compiled by a team of scholars under the direction of Micheál Ó Cléirigh, a Franciscan brother). However most scholars would suggest that he was more likely to have died in around the year AD 461. Though in truth, we do not have an accurate time or place of death for Patrick, as you will discover in audio book, the last writings we have from Patrick show him to be full of anxiety and fear, as he believed himself to be close to capture, enslavement or death. Why do we Celebrate St Patrick’s Day? Saint Patrick’s Day has become one of the most popular celebrations worldwide. To many people, St. Patrick’s Day has come to represent Irish culture and identity, and it has its origins in the Irish emigrant communities in the United States. Today there are over 70 million people worldwide who claim Irish heritage, and the celebrations are a great way for people right across the world to celebrate the unique culture, language and music of Ireland. The month of March is not only a celebration of Saint Patrick, it is also the time for Seachtain na Gaeilge – a two week celebration of the Irish language that culminates on St. Patrick’s Day. Why do we Celebrate St Patrick’s Day on March 17th? We celebrate St Patrick’s Day on March 17th as it is the feastday of St. Patrick. Some suggest that it is the day that he died, though there are no historical evidence to support this. And I bought meself a shamrock just to wear on me lapel. Don’t you know that today’s March Seventeen? Roger Edens ‘It’s a great day for the Irish’ from the film Little Nelly Kelly (1940). Today St. Patrick’s Day is one of the most popular and vibrant celebrations in the world. Major public buildings across the world light up in green in honour of Patrick and Ireland. From the United States, the United Kingdom, Europe, Australia, the Middle East and of course in Ireland itself, people enjoy parades (and the occasional pint) every March 17th. The first recorded St. Patrick’s Parade didn’t actually take place in Ireland. In 1737 in Boston Massachusetts, a crowd of 27 Irish immigrants came together to celebrate their heritage. In 1762, fourteen years before the Declaration of Independence was signed, the first official St. Patrick’s Day Parade was recorded in New York, when a band of Irish ex-patriots and Irish men serving in the British Army marched while playing pipes and singing Irish songs. It did not become a public holiday in Ireland until 1900 through the efforts of the Gaelic League. However the Gaelic League’s success in closing all public houses on St. Patrick’s Day from 1904 proved to be less successful and certainly less popular. Today one of the biggest (and arguably the most fun) St Patrick’s Day parade is held in Dublin, with a four day festival. You can see marching bands, weird and wonderful floats and riotous celebration that brings together more than 3,000 artists, musicians, dancers, poets and performers over the festival, with more than 100,000 overseas visitors who travel to Dublin to enjoy the event. However you’ll find a parade and celebration in every Irish town and village, with tractors, floats and music – it’s a really wonderful time to visit Ireland! Please share the Story of St Patrick with your friends, Choose Your Platform!